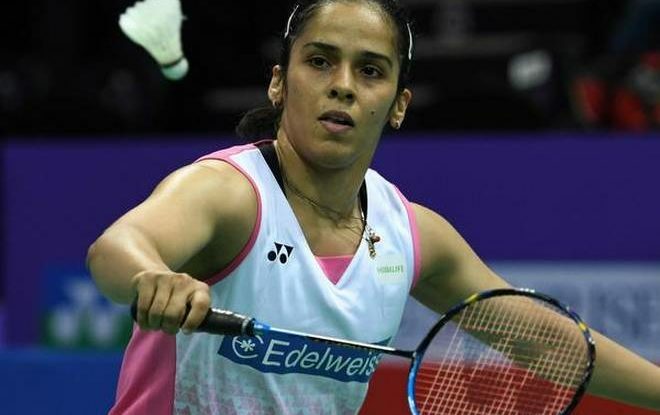 Top Indian shuttler Saina Nehwal stormed into the women’s singles final of Denmark Open with an easy win over Gregoria Tunjung of Indonesia in Odense on Saturday. Olympic bronze medallist Saina beat Tunjung 21-11 21-12 in a one-sided semifinal match that lasted just 30 minutes. Saina will face world number one and nemesis Tai Tzu Ying of Chinese Taipei in the summit clash on Sunday. Tai Tzu has an overwhelming 12-5 career head-to-head record against Saina. Saina last defeated Tai Tzu in 2013 and since then the Chinese Taipei shuttler has been victorious in the last 10 matches between the two. This year, world number 10 Saina has lost all her four matches against Tai Tzu, the last being the semifinal clash in the Asian Games in Jakarta in August. In the semifinal match against Tunjung, it was, however, a cakewalk for Saina as she completely dominated from start to finish in both the games. With Parupalli Kashyap, with whom she is getting married later this year, cheering her at the corner of the court, Saina reeled off easy points one after the other with her Indonesian rival not giving much resistance. Saina was 10-4 ahead in no time and extended the lead to 17-8 before pocketing the first game in just 13 minutes. Tunjung gave a semblance of a fight in the second game which lasted a bit longer than the first. Saina took a 7-3 lead but Tunjung fought back to level scores at 7-7 but there was no looking back for the Indian from there on as she surged ahead with a series of points before pocketing the second game to win the match.